Being a tennis athlete is very difficult. Apart from the usual fitness regimen, the necessary vitamins and minerals are also needed to improve the performance and well-being. JuicePlus+ is one of the major players in North America and Europe in providing the right nutrition for tennis athletes. It thrives to stand on the following principles: longevity, authenticity, quality, community, simplicity and being approachable. TF: When did JuicePlus+ started? How did you become involved in the project? 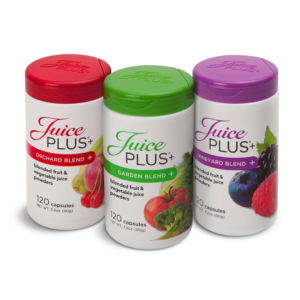 DH: Juice PLUS+ first came to the European market in 1993. I began working in logistics in Switzerland and worked my way up to CEO of The Juice PLUS+ Company Europe. Along the way I opened a number of European countries and we are now expanding into Africa and the Middle East, in addition to our hugely successful operations outside of EMEA. TF: You supported Ana Ivanovic’s initial career in tennis. What made you decide to sponsor her? DH: To be honest I was totally naive! I took a gamble. At the time I had no idea how unlikely it was that Ana would be truly successful – she wasn’t even ranked in the top 20 in juniors when I first met her. But I was so impressed by Ana as a person that I couldn’t say “no” when I was introduced to her and asked to assist with her development. I helped professionalize things, and hired her first top coach. We have had some great times, especially when Ana reached No.1 in the world and won Roland Garros. TF: What are the benefits of taking JuicePlus+ compared to the existing vitamins and health supplements in the market? DH: We have the world’s most researched nutritional supplement: 36 peer-reviewed studies, published in leading scientific journals, attest to the many benefits of our capsules. Juice Plus+ capsules are a long-term investment in one’s health and are the next best thing to fruits and vegetables. We have over a million customers worldwide, enjoying the benefits of Juice PLUS+. TF: What are the current bestsellers in JuicePlus+? DH: Our three capsule blends – fruit, vegetables and berries – remain our No.1 bestsellers. Our Complete shake mix is also very popular, especially with those who work out and require additional protein. The protein is plant-based and it tastes great. TF: Health supplements are very popular in Asia. Does JuicePlus+ have any plans to expand in the Asia Pacific region? DH: Absolutely. This is one of our main goals for the next 3-5 years. Stay tuned! TF: What are your tips for upcoming tennis athletes especially on the nutrition and wellness? DH: I see kids starting to take their fitness and nutrition seriously at a younger age these days. That’s a good thing, as long as they are playing tennis for the enjoyment – to become a professional is really tough, and I would not encourage anyone to neglect their studies in order to become a professional unless they are already competing on the world stage. Obviously I would recommend Juice PLUS+ capsules to young athletes: probably the most common benefit I hear from our customers is the boost that the capsules give to your immune system, which is vital for sportspeople, especially those who frequently travel. 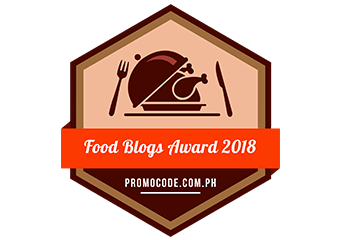 Your blog really helps out people who want to balance fitness with nutrition. I am a health buff myself and I workout a lot, but I miss out on the nutrition factor that provides nourishment to the body. I’m glad to learn something new about nutrition that is available on the market today. I would love to try this and for my son too. That would be such a great experience to interview him! I didn’t know about new nutrition thats available now! ohhh Juice Plus is so interesting. I am thinking of taking my weight loss program more seriously and I am looking at products to try. This might be a good one. Any chance it’s available in Bacolod? I’ve heard a lot about Juice+ and it was interesting to read thoughts from the CEO of the company. It seems like it is a diet that has worked for a lot of people indeed. That’s great to hear about both successful situations; Ana Ivanovic and Dan Holzmann. If I were to ever get my hands on one of these, I would probably choose all three of the blends.